The Cienté artistic team were on hand last Thursday to design, tweak and help the models for a sell out fashion show at the Gatsby Berkhamsted. "I was delighted when I was awarded the KMS new talent 2009, it has given me amazing opportunities, and being asked to be a part of the international KMS artistic team is a great achievement. The Cienté Artistic team, Hayley and Karen, supported by Charlie on makeup, presented at the Fellowship evening 18th March at the Wella Studio, Mortimer Street. Cienté would like to introduce our new team member, Sam Goulding, affectionately known as Georgie because we have two other Sam's in the salon. An evening with Cienté was held on Thursday 4th March and was an outstanding success. The "50 years of fashion" event was organised by the Cienté team to raise money for their nominated charity "The Pepper Foundation". 50 years of vintage and modern fashion, hairstyling and make-up was show cased by the Cienté artistic team at this sell out event. Cienté would like to thank The Dressing Room, St Albans, winner of retailer of the year at the Drapers fashion awards 2009 for their contribution to our fashion show on the 4th March. 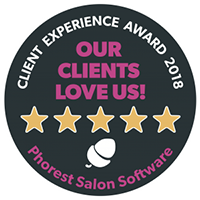 Trisha Buller, Salon Director at Cienté the award-winning salon in Berkhamsted, would like to say a huge thank you and high-five to her team. The Cienté fashion event is being held on the Thursday 4th March at the Civic Hall Berkhamsted, all proceeds will go to the Pepper Foundation. We are delighted to announce that Sam, Natale and Liam our NVQ level 2 stars will be participating in the Fellowship of Hairdresser's Club Star. Sam Langford was presented with "The outstanding achiever of the year" award at the Joshua Galvin Central training academy on Tuesday 17th November, an evening presentation held at the Wella studios in London.